Long a fan of the non-stick pan concept, yet burned out on the ever-revolving door of lower-priced models that lose their nonstick oomph long before I am ready, I finally decided it was high time to invest in some quality cook wear of the nonstick kind. One of the benefits of being a bit indecisive is that I can say that my research has been thorough. 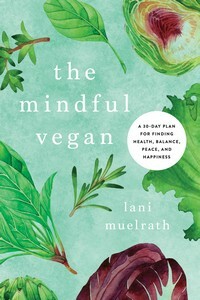 I literally checked around for months, reading reviews, asking chefs I admired what they used, and checking out the websites of top-notch vegan cooks to find out what they suggest, or have in their online shopping areas, when it comes to nonstick cooking. It came down to a final round between Scanpan, Berendes, and Swiss Diamond. But I couldn’t keep my eyes of that nice big fourteen inch Scanpan. Plus it was (and still is as of today) marked down a good fifty bucks on Amazon. Visually, it appealed to my wide-open-spaces preferences when it comes to cookware. And the reviews were stellar. no one has to fight to get near the heat: everything – that means each dice of onion, slice of mushroom, leaf of bok choy, broccoli flowerette or whatever else I happen to be cooking at the time – is easily in contact with the hot cooking surface. everyone gets a chance to carmelize: closely related to number one above. my cooktop is staying cleaner than ever: keeping the black glass surface on my gas range clean has become oodles easier as the splash and splatter from smaller pans has become a thing of the past. Less time in cleanup, more time for eating! one pan meal: which is not the same as one dish. I can take the veggies through the cooking process, then push to the side to stay warm, opening up space to brown the tofu cubes. Or, I can heat the tortillas in one edge of the pan, the black beans in another area, and the rice in yet another – before assembling all as taco rollups. I could easily have fit another three pieces of French Toast (above) on the surface – three was all I needed room for this time. 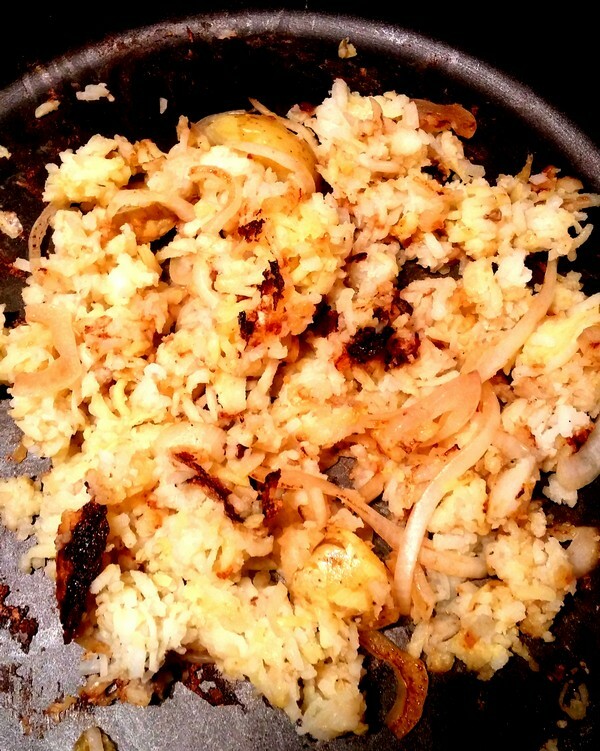 Hash Browns (left) like I have never been able to make them before, with plenty of crisp edges and not a drop of oi. Apparently Scanpan is safe up to 500 degrees Fahrenheit. Yes, I’ve tested this out and here is my Easy One-Pan Enchiladas to prove it. 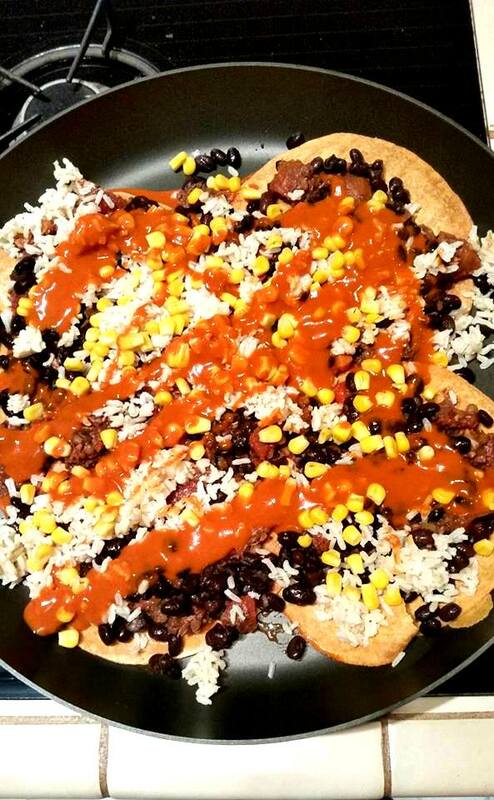 I simply layered in enchilada sauce, yummy locally made tortilla shells, black beans, corn, and brown rice. Slipped the entire pan into the oven and let her cook for about 45 minutes at 350 degrees, and served right from the pan. I’ve gotten in the practice of cleaning Scanpan right away, while she’s still hot. Once I’ve dished the food onto our plates, I pour in a little bit of water, run the scrub brush lightly around to loosen particles or sticky sauce that may have been used, pour the hot water off and lightly dry the surface with a towel. The heat from the pan evaporates any remaining moisture off. As soon as she cools, I place a soft towel on Scanpan’s cook surface and slip her into her day bed right beneath the cook top. The cloth I put in place just in case an errant pan lid pot strays into her air space, threatening the pristine nature of her cooking surface. Shallow is good but: As much as I love the shallow nature of this pan, which increases versatility with everything from pancakes (I can cook six at a time!) to stir frys, she can be a heavy load for lifting and tilting with one hand when trying to empty out the last veggies onto the plate. Also, when dishing up from the pan with my spoon or spatula, the usual method of pushing food up against the side of the pan to secure it into the spoon can result in a spill over the edge. I’m still trying to find the best method for getting out those last bits without spillage. In spite of her price tag, Scanpan didn’t come with a lid – that’s a separate purchase. I’ve had it in mind to dive into a thrift shop with tape measure in hand to see if I can find a size match, but that hasn’t happened and I’ll probably just cave and buy a lid. The reason I am thinking lid is not because it is needed to facilitate the cooking process – everything cooks brilliantly. But a lid would help keep things warm before serving, especially in this cold winter weather. Another positive result from investing in Scanpan is that I have divested my pots and pans collection of several moderately functional or duplicate pans. I have fewer pans now, yet the extra space and increased function with what I do have has been a nice switch. 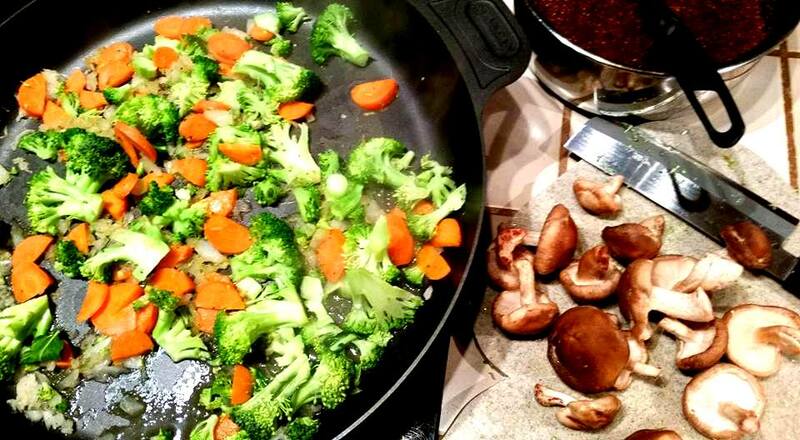 I use Scanpan most often, followed by and a two quart stainless steel pan used primarily for heating soup. I also have a stainless steel pan in pint size for making sauces and gravies. 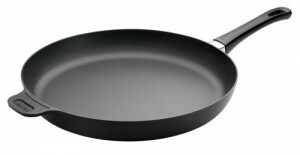 I will probably replace this with a scanpan in a similar size – I could use the extra non-stick factor there, too. medium heat is all you need: as a matter of fact, the instructions that came with Scanpan say not to heat higher than medium heat for the best treatment of the nonstick surface. teflon free: no weird smoking surface or worry about vapors sneaking their way through the house to find and plague Mr. Stubbs, our darling dove. Scanpan’s nonstick surface is ceramic-titanium particles that permanently anchor themselves in the pan, which is then infused with a nonstick compound that I could not find any incriminating commentary in terms of safety. The instructions say it’s OK to use metal utensils, but I’m being extra cautious and sticking with non-metal. There you have it! I hope this has been of help to you in the event that you, too, have been on a non-stick pan quest. I’m off to the kitchen. 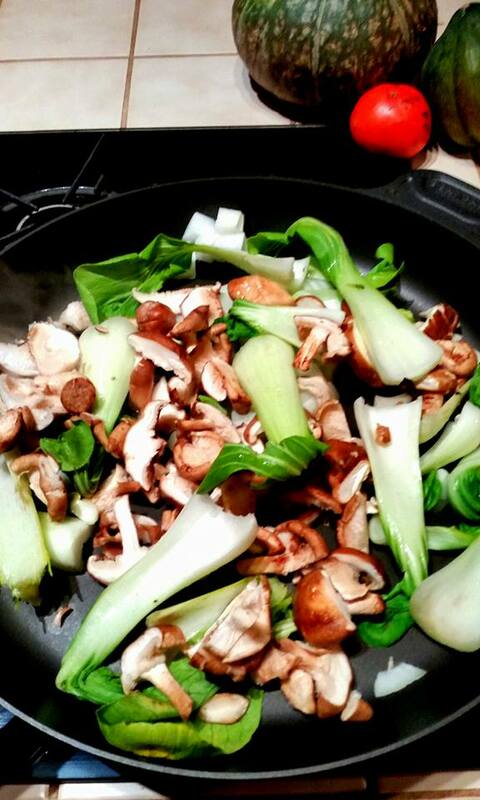 There’s a beautiful box of baby bok choy in the kitchen that is begging for a roll in the pan. I think I’ll start by carmelizing some onions, toss in the bok choy leaves full size, and when almost ready toss in the steamed sugar peas in pods leftover from yesterday’s Plant-Based Journey Buddha Bowls. Any questions? Happy to share what I can – just ask in comments below. 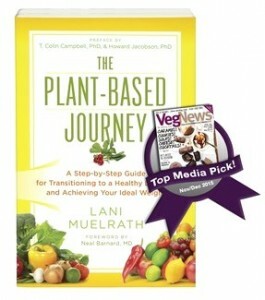 Have you see Plant-Based Journey TV on CBS? What a great report! I have been looking for a good nonstick pan too and it is so confusing! I appreciate that you gave so many details about your purchase. And your pictures are gorgeous! 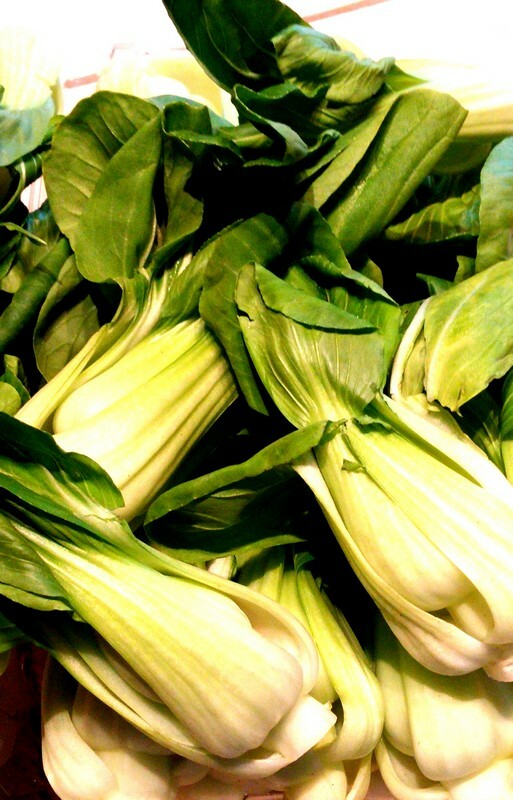 Think I’ll have to give baby bok choy another try because it has been awhile since I have picked some up at the market. Sharon, thanks! And glad you are going to give bok choy a whirl. I know how that is – somehow certain veggies seem to find their way out of our kitchen loop and it just takes a picture posted somewhere to get us interested again. I bought a big box of the babies at Costco and they are just so gorgeous! Lani, great report. How long did it take for your pan to arrive when you ordered from Amazon? Hi James! It took a couple of weeks as it was outside my Prime membership that had just ended. If you are a Prime member, it should come fast! I’ve wanted nonstick, no oil pan for EVER…so many decisions but you’ve made it easy! Sharon, I take a little water from my instahot tap where the water is already hot. But honestly I’ve slipped on a couple of occasions and used cool water and no warp. It’s not like I dump in a whole bunch! But this pan is so thick it’s almost like cast iron, so I guess she can’t warp the same as my cheapo nonstick griddle that is taking a break from kitchen action! Janet, thanks for the report! You’ve added a lot of valuable content to this article and I appreciate you taking the time to do so! I don’t mean to add a discouraging word, but I’m wondering if their formula has improved. A few years ago, I had a couple of scanpans, but after awhile, in spite of following instructions and being very careful, the surface started to break down, and I ended up giving them away. They did honour their guarantee and replace one of them, but then I didn’t want to do that all over again. I do hope your experience is different! I loved it while it worked, and would invest again if the product has changed. I also read some people having negative experiences with absolutely every brand of pan I looked into. I’m doing my best to take good care, and will see what time brings! I also don’t have any illusions about any product necessarily lasting forever! If I can get even a few more years out of this pan than the parade of other less expensive nonstick pans I’ve invested in, it will still be a better deal. Sorry you had a bad experience! Lani, my wife is so against non stick pans. She does a lot of research on them and only comes up with negative reviews, pertaining to them being cancer causing. Is that true? Ed that is why I did such thorough research. The bad news comes most from the teflon pans that are also overheated. Scanpan is a brand that even a picky cook like Mary McDougall uses. But I suggest your wife just do some more research on her own regarding any toxicity with cooking surfaces. I purchased Berendes at Mary McDougalls suggestion some years ago while attending the McDougall live-in program-are you saying she switched to Scanpans? Not at all. 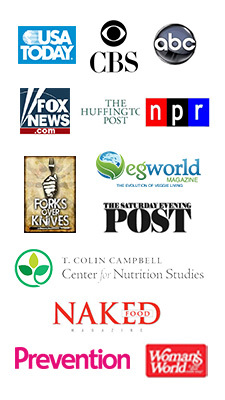 I’ve heard Mary McDougall recommend both brands and you’ll see I investigated Berendes as part of my process. You’re good with the Berenedes! Ed – here’s some more information you might be interested in. 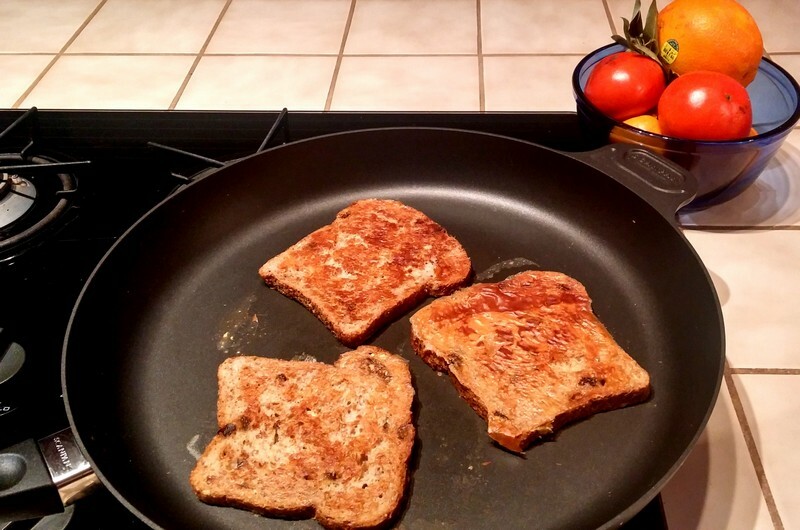 I’ll stick with the classic Cast Iron Pans…..You can’t go wrong with them..Easy to clean and you also get a bit of iron each time you use it., I own a 15 1/2 inch frying pan which is very heavy but it is worth it. I also have two century old ones, a 12 inch fryer and a 12 inch dutch oven with a lid and I use it like a wok at times and also steam, braise, and roast in it. They are marvelous. What size is your scanpan? 14″. Didn’t I say that in the article? I’ll have to ‘scan’ and see! thanks for a wonderful testimonial Lani! I have coveted a Scanpan for a long long time, but am put off by the weight – I have an old injury in my shoulder which makes it difficult for me to lift and maneuver heavy items, but your article makes me want to rethink this. Might take a trip to Myer or wherever else I can find one, and have a ‘play’ with an empty one! Thank you for sharing your thoughts. I too debated the weight of the pan. But the other qualities – the large size for cooking surface and the quality of scanpan – won out. It can make it challenging to get every last bit out of the pan in the way to which I am accustomed – you know, hold the pan up on tilt and scrape the rest onto the plate. So what I do is take a large serving spoon that won’t scrape the surface, and carefully scoop it up against the side of the pan (which is shallow, so you have to watch if you don’t want to scoop everything out onto the cooktop), or use a spatula, sometimes the two in concert. It changes cleaning, but I’ve got a great system for that. I will carry the pan using handle and short lifting edge (on the opposite side from handle) to the sink where I can rest it right beneath my instanthot tap, put a little in, scrub around with a spatula, pour out and then wipe clean. Or you can bring a splash of hot water over to the pan and do the preliminary work there, pour out later. I usually then just wipe it dry right away. It is SO easy to clean the surface of this, and it works so beautifully, that these minor inconveniences are overridden by the positive. I hope you’ll share with me what your investigations bring up – your idea of field testing in a store is a great idea. Can’t wait to hear more about it!